Great line with deep meaning, isn’t it? I think it’s my writer’s side making me feel more connected with it. Nature is indeed something that gives you more than what you are seeking; if you were looking for some good time basking amidst it, well, the Mother Nature will also offer the much-anticipated peace of mind without you even asking for it, and that’s the beauty of it. 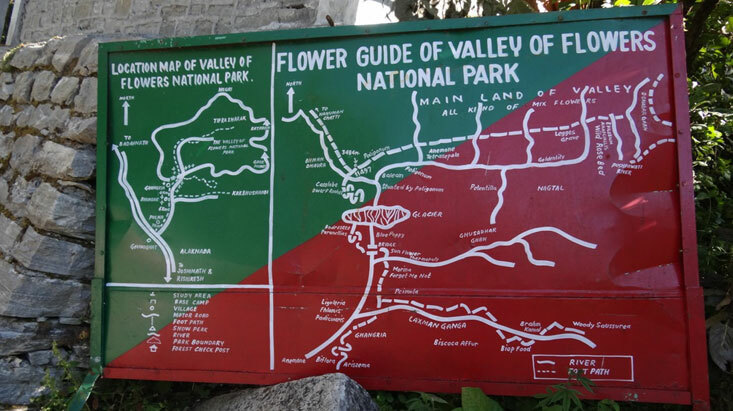 No brownie points to guess where all this conversation to, but I do have a lot to offer in terms of insight on Valley of Flowers, so grab your large coffee mug and sit on a comfy chair as there is plenty to read out here. It would be a silly question to ask that you love nature because everyone does. But, I can surely ask that which destination you would prefer for your nature getaway. If your answer is Interlaken in Switzerland, Tuscany in Italy, or Dieng Plateau in Indonesia then I guess you haven’t heard about India yet. No offence, these destinations are perfect places to go for ecotourism and even my personal favourites as well. But what makes India a different one is the diverse flora and fauna that the country offers to its visitors. And amongst all those naturally beautiful places in India, one is exotic Valley of Flowers National Park. 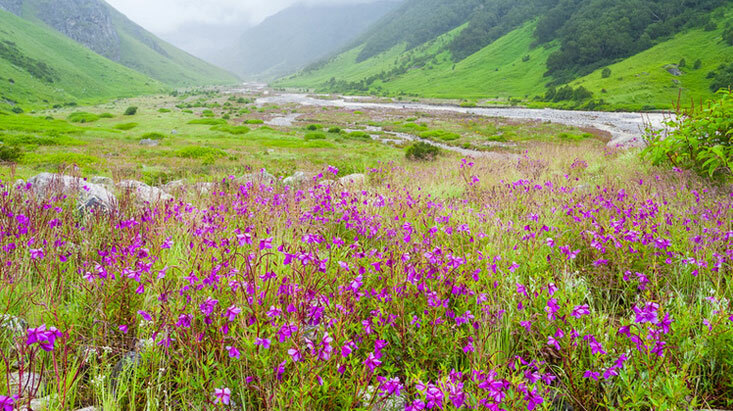 Situated at a soaring height of more than 3000 m, Valley of Flowers is a UNESCO World Heritage Site in the Himalayas. 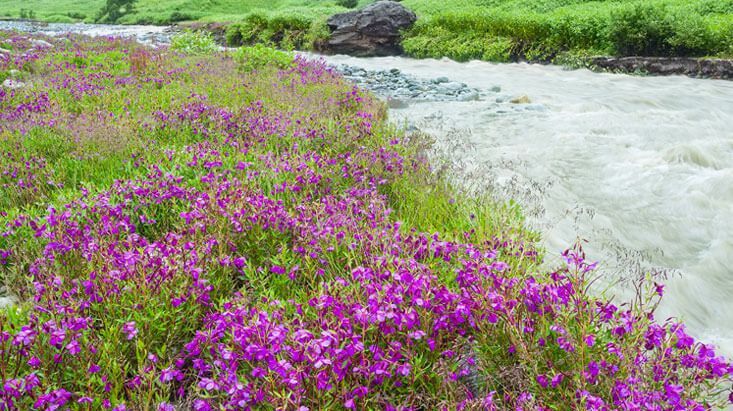 This paradisiacal land of Valley of Flowers is known for its diverse blossoms. The place literally gives you the impression that you’re standing on a multi-coloured carpet of various flowers. There should not be a single word of conflict with this amazing fact that at present Valley of Flowers is one of the most celebrated tourist destinations in the Himalayas. Every year, oodles of travellers visit this place just to feast their eyes on the beautiful surroundings. But, do you ever think that how this nature’s paradise came into the world’s eye? No need to google it! Just continue with the blog for further information. There is a short but interesting story behind the discovery of VOF. In 1931, three British mountaineers – Frank S. Smythe, R.L. Holdsworth, and Eric Shipton (while returning from a successful odyssey to Mount Kamet) lost their way in the region where Valley of Flowers is located in the Indian Himalayas. Getting mesmerized by the sublime beauty of this place, they decided to name it Valley of Flowers, and thus, people got to know about the place. Later in 1993, Wildlife Institute of India appointed Prof. Chandra Prakash Kala for a decade to conduct a research study on floristics and the conservation of valley. 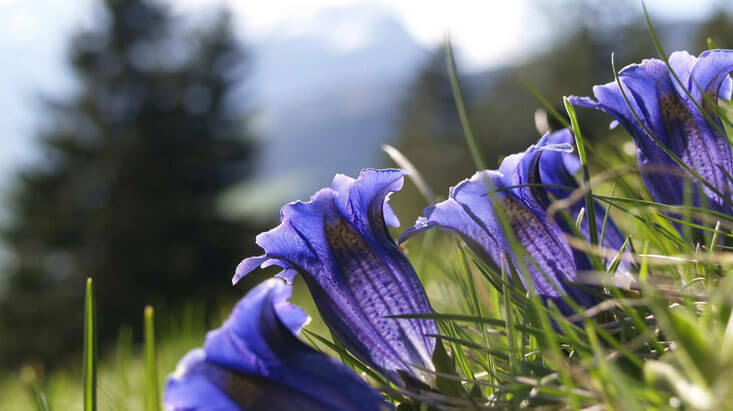 He also penned down two books that comply an inventory of around 520 alpine plants, with their both scientific and common names that flourish here throughout the year. This dale in Uttarakhand is a treat to the eyes and the vistas here cannot be expressed in words. However, for witnessing such beauty, one has to go through a moderate to difficult trek in the Himalayan mountains. The trekking trail gets steeper as you ascend towards your destination. Despite this what will keep you inspired during the whole escapade is the eternal beauty of this place. Throughout the trail, you’ll be blessed with the sight of exotic flowers and foliage. It is advisable to carry a raincoat and some warm clothes with you. Furthermore, VOF is best to visit during monsoon as during this time you can explore the place to its fullest. Besides, advance booking of accommodation will also save you from the unexpected hassles. Above all that, the most important trekking tip is that if you’re going to trek in VOF then you must have a good pair of shoe for a better grip so to avoid cramps and injuries. A pair of good shoes means they should be light, reliable, comfortable, and water resistance. From the month of June to October, the Valley of Flowers remains accessible to travellers. Rest of the year, the region receives a sub-zero temperature due to which the trekking route covers with the snow making it difficult for travellers to trek. 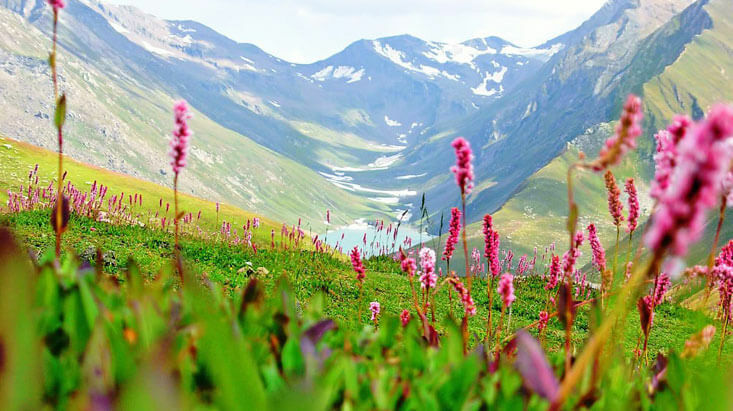 However, if you want to enjoy the best of this place then plan your trip somewhere in between mid-July-August which is also considered as the best time to visit Valley of Flowers. During these months, the place receives rainfall and remains at the peak of its beauty making it one of the best monsoon retreats in Uttarakhand. 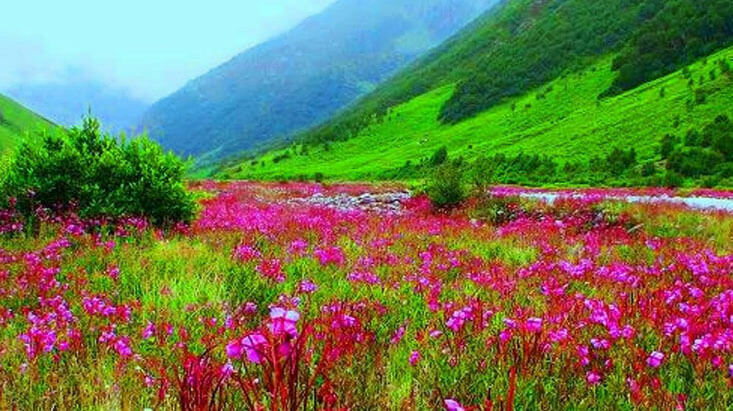 The beautiful Valley of Flowers starts from a Forest Department checkpoint which is located near Ghangaria. This is the place from where you have to acquire your permit. For that, you have to pay a fee of 150 INR for 3-day pass, if you’re an Indian citizen. On the other hand, it is 650 INR for foreign citizens for a same 3-day pass. However, if a person wishes to stay more than days then one has to pay 50 INR extra in case of Indian citizen and 250 INR for foreign tourists. Make sure you have a valid government ID to obtain a permit. To attract more tourists to this place, Uttarakhand tourism department also established the Helicopter services in Valley of Flowers that run from Govindghat to Ghangaria. The one way trip of this services costs around 4000 INR for one person. However, this must be noted that the helicopter services are not provided during bad weather. Moreover, the facilities of pony and porter are available at Govindghat. For that, one has to pay a sum of 700 INR to rent either of them. Those who are want to cover this journey by trekking, the necessary equipment like raincoats, wooden sticks, and trekking poles are also available for purchase. Before trekking, make sure to eat enough at Ghangaria as it is the last stop where you’ll get dry food. The town offers a number of good restaurants that offer some delectable local cuisines. Moreover, also make sure to carry packed lunch or packaged food for your trekking journey. Just to let you know that VOF does not allow tourists to eat anything inside the park in order to keep the pristine beauty of the place intact. Only packaged food is allowed but you have to eat it outside the park only. Please Note: I also request you all to not to spoil the surreal charm of this place. Therefore, while on a tour to VOF, just make sure you’re not providing any harm to the place by throwing wrappers and plastics here and there. You can also preserve the beauty of this by keeping an eye on fellow travellers so that they also don’t do the same mistake. The best option is to have an overnight stay in Joshimath before heading out for Ghangaria. 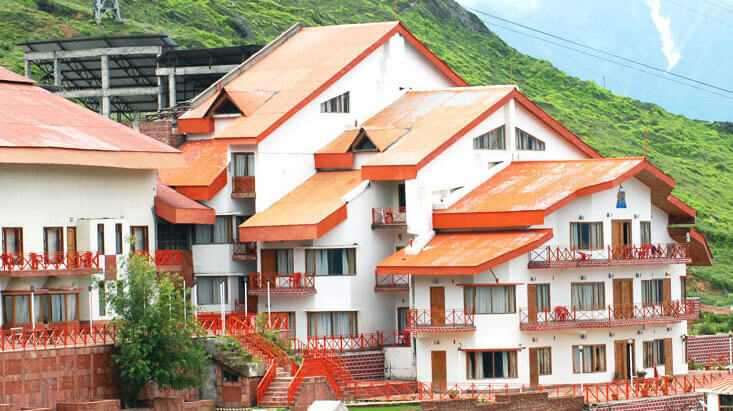 Joshimath offers a range of accommodation which includes resorts, hotels, cottages, camps, and also government houses. However, you can also find plenty of good accommodation options in Ghangaria. The town has basic hotels and also the camping facilities. As you are about to go on a secluded high-altitude destination, so be prepared to see your mobile networks on No Service mode, only if you don’t have a BSNL connection. Although, Ghangaria offers satellite phone booths from where you can make calls. 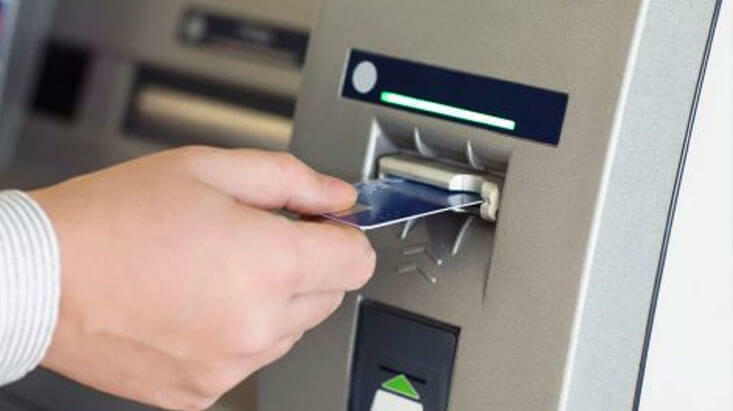 Sad but true that there not a single ATM machine in the region. Joshimath is the last place where you’ll get the service of ATM. Therefore, make sure you have enough cash to meet your requirements. Most of you must have been indulged into various treks, but trust me this one is the best Himalayan trek as throughout the trail you’ll be welcomed with the astonishing views and sublime beauty which you’ll never to experience in any other trek. In Valley of Flowers, trekking is prohibited after 2 PM. Besides, camping is also not allowed here. As this 17 km long Valley of Flowers trek takes 4-5 hours to complete, one has to reach the base camp by 3 PM in order to return back to the Govindghat. Besides, Horse riding services are also not available after 4 PM due to chances of wild animals attack and landslides. In order to reach VOF, tourists have to first reach Haridwar from their respective cities. From Delhi, the services of both train and buses are available that gives direct connectivity to Haridwar. However, those who are travelling by air have to board a flight to Dehradun (53 km) which is the nearest airport from Haridwar. As you land at Haridwar, your next destination is Govindghat. 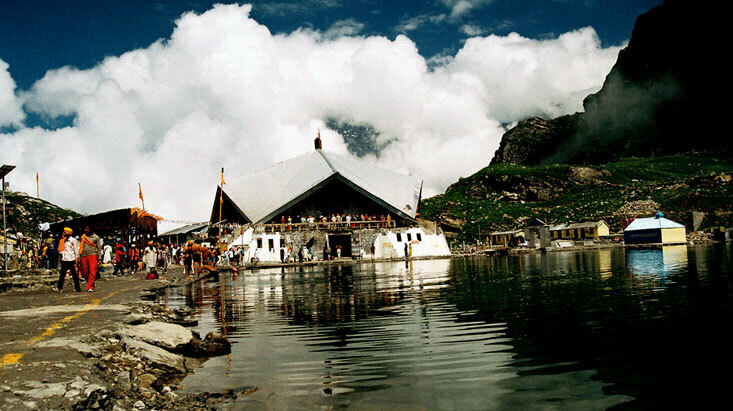 Till Govindghat, you can travel by road and from there you have to undergo a 17 km trek. From Haridwar, Govindghat is located at a distance of 290 km. Both buses and taxis are available from Haridwar to Govindghat. After reaching Govindghat, you can choose to stay at some hotel (which the town has many) and cover the remaining 17 km on the next day. Till Ghangaria (which is the base camp), it is 13 trek and further 3-4 km from there to Valley of Flowers. After exploring the fairyland of Valley of Flowers, you can also head out to these destinations which are located in a near proximity to the place. Just like VOF, these destinations are also best suited for both adventure and nature lovers. Ghangaria – From Ghangaria is the basecamp point of last 3-4 trek of Valley of Flowers. However, you can also explore the village while returning from the trek. Badrinath – One of the Char Dhams, Badrinath is a holy shrine of Lord Shiva and also a prominent pilgrimage destination in India. 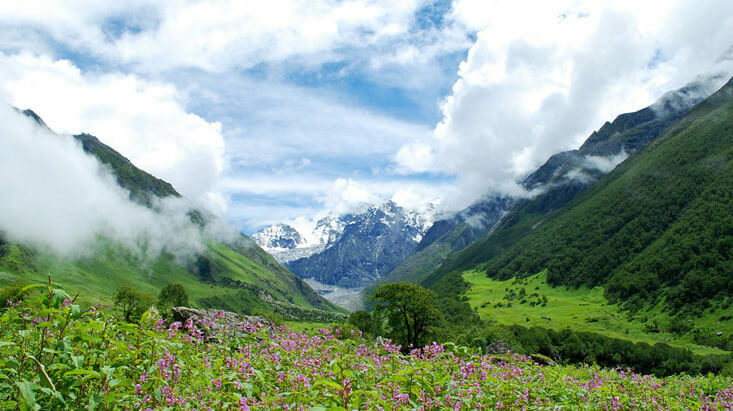 The distance between the Valley of Flowers and Badrinath is around 30 km. Vasudhara Falls – Located at a distance of 32 km from VOF, Vasudhara Falls is one of the highest waterfalls in Uttarakhand Himalayas. Nanda Devi National Park – Hardly 13 km away from VOF, Nanda Devi National Park is UNESCO World Heritage Site and the most revered tourist attraction in the region after VOF. Bheem Pul – The iconic bridge, which was built by one of the Pandava brothers – Bheema for his wife Draupadi, is situated at a distance of 30 km from VOF. I hope this blog must have given you the answer to how to plan a trip to Valley of Flowers. If yes, then please give it a like and fill the comment box with your much-appreciated feedback. And if you want to plan a trip to this ultimate nature-lovers’ retreat then give us a chance to paint your trip with unforgettable memories through our best Valley of Flowers tour packages.